Complete with a 7,000-square-foot spa, Grand Traverse Resort and Spa is one of the Midwest’s finest full-service, year-round destinations for spa enthusiasts. The 900-acre property, located along the shores of Lake Michigan’s East Grand Traverse Bay, is designed to showcase the surrounding area’s stunning beauty with relaxing and invigorating amenities. Inspired by the rejuvenating nature of northern Michigan, Spa Grand Traverse occupies two floors, 23 treatment rooms, a salon, and boutique; it is conveniently connected to the resort’s 100,000-square-foot health club. Massage, skin-care, and wellness therapies feature natural products that focus on de-stressing, detoxifying, and rebalancing. Resort guests, club members, and locals alike can savor the spa’s signature-cherry infused services highlighting locally made products. 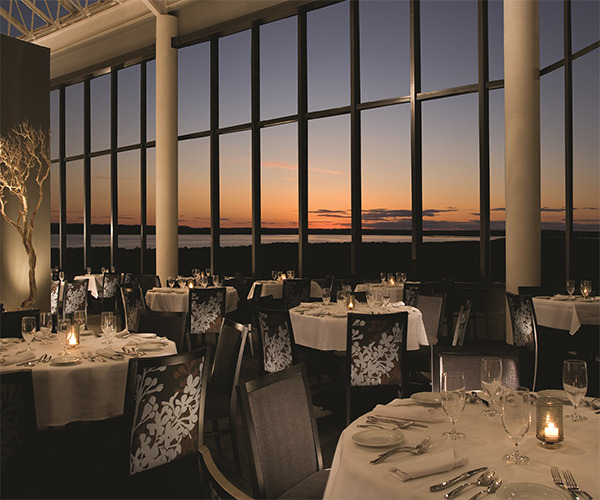 Situated in the northwest corner of Michigan’s Lower Peninsula, Grand Traverse Resort and Spa is a 10-minute drive from Traverse City’s Cherry Capital Airport. It is owned and operated by the Grand Traverse Band of Ottawa and Chippewa Indians, which also owns and operates nearby Turtle Creek Casino & Hotel. Spa Grand Traverse offers more than 60 treatments, including massage, hydrotherapy, body therapies, and skin care, in a tranquil setting inspired by Michigan’s superb four-season beauty. The 7,000-square-foot facility occupies two floors, housing a full range of amenities: 23 treatment rooms, a salon, and boutique to complete with spa experience. The resort’s 100,000-square-foot health club is adjacent to the spa, welcoming guests to wander over and use the indoor and outdoor swimming pools, tennis courts, aerobics/fitness studio, weight room, cardio fitness rooms, and saunas following a treatment. Bespoke therapies include the rejuvenating Cherry Honey Glow, comprising a cherry and sugar scrub and a Vichy shower. The spa has also partnered with The Center for Skin Care at Copper Ridge to provide new services, from injectables to non-invasive therapies like Forever Young Skin Rejuvenation and Forever Bare Laser Hair Removal. Spa guests ages 16 years and younger must be accompanied by an adult. From the nine tennis courts to the four swimming pools, the Grand Traverse hosts a vast menu of offerings to delight travelers of all ages. Three 18-hole courses – The Bear, The Wolverine and Spruce Run – provide golfers with the chance to perfect their swing on courses designed by the likes of Jack Nicklaus, Gary Player and William Newcomb. The 100,000-square-foot Resort Health Club complex features a full complement of Cybex Eagle equipment, along with a schedule of Zumba, yoga, spinning, Power Train and aqua aerobics classes; personal training is also available. Outdoor activities abound for exercise enthusiasts as well: During winter, guests can get active with cross-country skiing, snowshoeing, ice skating and snowmobiling, while the warmer months usher in jet skiing, pedal boating and kayaking. Programs for the little ones include the Club House daycare center, a game arcade and Kid’s Night Out (Fridays and Saturdays only). Guests can enjoy 24-hour complimentary shuttle transfers between Grand Traverse Resort, Turtle Creek Casino and Leelanau Sands Casino & Lodge. Guest rooms and suites are housed within the property’s six-story hotel or its dramatic, 17-story glass tower. Tastefully appointed amenities like wireless high-speed Internet access, eco-friendly features and in-room coffeemakers create a comfortable atmosphere, while far-reaching views of the bay and picturesque hills and orchards bring a glimpse of the outdoors in. Guests that reserve tower accommodations will also enjoy such accoutrements as flat-screen TVs, refrigerators and wet bars; bathrooms contain Jacuzzi whirlpool tubs and phones. The signature Aerie restaurant, specializing in American fare enhanced with Spanish flavors, provides stunning sunset and skyline views from floor-to-ceiling windows. Live music can be heard in the lounge area on Thursday, Friday and Saturday nights, and a brunch is available on Sundays. Overlooking the 18th hole of the Bear Golf course, the seasonal Grille serves a delectable menu of homemade soups, salads, burgers and steaks. Family dining can be enjoyed at Sweetwater, open all day, while pub fare and drinks can be savored at Jack’s sports bar. A spa menu is offered at the spa.